Also lived in Kiev, Ukraine; Kinshasa, Demcratic Republic of Congo; Strasbourg, France. Now living in Zagreb, Croatia. As the eldest son of post-war emigrants from Holland I found myself seeking traces of all-things Netherlandish at the Cape, from Dutch-sounding place names to Old Master tobacco cards and antique Delft Blue fragments. We lived on the fringe of Constantia, a historic wine-growing valley, and my fondest memories are of lazy summer days exploring shaded Cape Dutch homesteads and their cool wine cellars. It felt like home-from-home, except that everything was bigger and more beautiful than the house my parents had built. In this age of innocence I also believed all oak-lined avenues, white-washed gables, thatched roofs and street canals came from Holland. As did black-and-white cows and, naturally, the best cheese. Born into a society where “local is lekker” (things close to home are best), all-things Netherlandish proved to be reassuring. However, by default, I grew up on the ‘white’ side of the railway tracks, a line that divided apartheid Cape Town, where English schools, libraries and clubs predominated. We were firmly part of the British Commonwealth and all things African seemed very far away. I guess my fascination with home-made African vernacular art started here. Since then I’ve found local design adaptions wherever I’ve lived, many of Dutch origin, others distinctly British in influence. 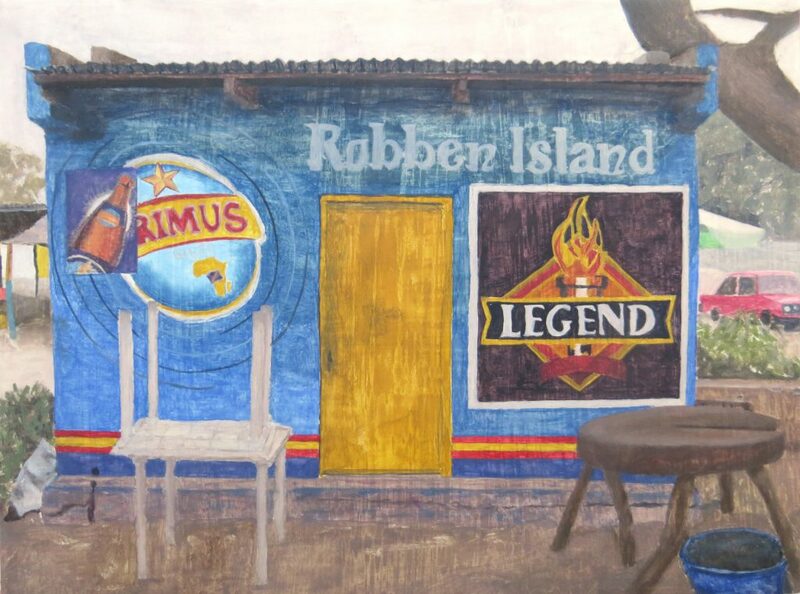 One of my favourite examples is the Robben Island Restaurant in Kinkole, Kinshasa, a small fishing village on a broad bend of the Congo River and a place I used to cycle to on Sundays – if the streets were quiet and it wasn’t too hot. Being there felt like home, too: the beer was Dutch and the legend truly South African.